Janie grew up in Canfield Ohio, a village of 3,000, and graduated with a BA in English from Millsaps College which is located in Jackson, Mississippi. The ensuing culture clash has been the fodder for most of her writing. Janie's professional career was spent at Procter & Gamble in Purchases (24 years) followed by 3 years at JM Smucker. She lives with her wife, Judy, in New Richmond, Ohio with their three cats and lots of sunny windows where they all watch hawks and a flock of wild turkey. 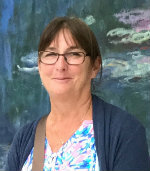 After serving on the WWf(a)c board for two years as Treasurer, Janie joined the staff as Assistant to the Executive Director of Women Writing for (a) Change. Janie is a graduate of the Conscious Feminine Leadership Academy 2015. 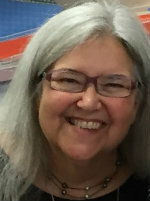 Phebe (Karen) Beiser has been teaching at Women Writing for (a) Change sporadically since 2006. After retiring as a librarian at The Public Library of Cincinnati & Hamilton County, she took the Feminist Leadership Academy under founder, Mary Pierce Brosmer. 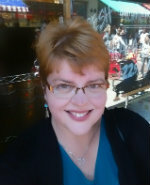 A longtime member of the New Media Circle, she records and hosts podcasts. Her special loves are poetry, nature, dogs, and Eastern spirituality. After a trip to India, she and a fellow traveler published a coffee table book, Goddesses on the Ganges. 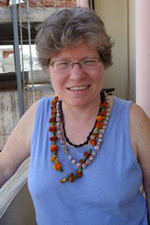 A longtime feminist and lesbian activist since the 1970s, Ms. Beiser founded the Ohio Lesbian Archives. She served on the Board of the former Crazy Ladies Center. She is currently on the Board of Womens Way, which collaborates with Women Writing on the Friday night salons. Her blog on "nature, meditation & much more" can be found at phebek108.wordpress.com. Diane has facilitated & co-facilitated several writing and multi-arts circles, in a variety of settings from living rooms to a local prison. Her re-created life includes an urban community known as Artful Habitats, where she provides unique apartments to creative city dwellers. She resides there with her husband, Jeff Smith, dogs Sydney & Mandy, and the inimitable Audrey the Cat. Diane shares studio space with painter Polly Hart at the Essex Studios. Wendy has an adventurous spirit. 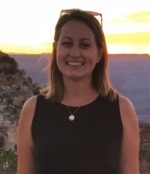 She ended up in the Cincinnati/Northern Kentucky area after growing up in Massachusetts, college in New Hampshire earning a psychology/sociology degree, and then becoming a VISTA Volunteer. As a VISTA Volunteer the organization sent her as a social worker to Brighton Center in Newport, Kentucky where she worked with children and adults. After a few years in social work, Wendy went on to get an education degree and then her Masters in Elementary Education. She started a Montessori style kindergarten classroom and taught various other grades 1-8 for 24 years. While raising her three children Wendy was elected to be a parent representative for Fort Thomas Schools’ Site Based Council for both Elementary and the High School. She served for 6 years. 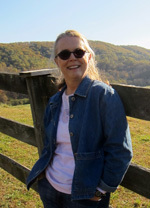 Since retiring from teaching school, Wendy joined Women Writings’ Terrific Tuesdays writers. She also became trained in Enneagram teachings and participated in Mindfulness Based Stress Reduction workshops and retreats. She is now finishing her Life Coach certification from the Martha Beck Wayfinder training. During the summer of 2017 Wendy became a grateful member of the LightBearer cohort when she attended the Conscious Feminine Leadership Academy (CFLA). For her CFLA graduation completion Wendy facilitated writing circles incorporating Enneagram teachings. Those circles highlighted how well Women Writing circles blend with the inquiry of the Enneagram circle. Wendy loves traveling the world, exploring new avenues for adventure and enlightenment. Women Writing has provided a strong sense of home and grounding from the time she walked through the doors in 2013. Hannah Simon Goldman (she/her) began attending YWWf(a)C classes the summer before her freshman year of high school, and no one’s been able to get rid of her since! In the interim, she has taken on the role of a teen assistant, completed the Young Women’s Feminist Leadership Academy program, interned for WWf(a)C, and become a full-fledged facilitator of Young Women’s, outreach, and adult programs. Hannah holds a B.A. in Women’s and Gender Studies and English (no surprises there! ), and currently works connecting nonprofits to free resources with Girls Who Code. Annette Januzzi Wick (she/ her) is a writer, teacher, community connector and author of I’ll Be in the Car. For Women Writing for (a) Change, she facilitates writing workshops and hosts the monthly Women Poets in the Courtyard. In the community, she works with City Gospel Mission and Alzheimer’s related organizations to use writing as a tool for healing. She is a panel host and member of the Books by the Banks Writing committee. Annette maintains two blogs, Find You in the Sun, a journey of a daughter through her mother’s dementia, and Gettin’ My City On, for which she was nominated a Best Local Author in 2015 & 2016. 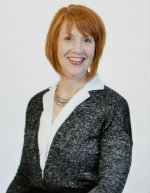 Annette also works as a freelance writer for Movers and Makers magazine and is an Impact 100 member. 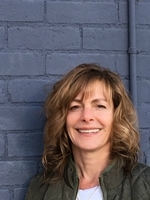 She currently is a selection committee member of Impact 100, a board member of Memorial Hall and a Findlay Market supporter through the Art and Poetry event. She and her husband are active supporters of the many arts and social service organizations in Over-the-Rhine including Ensemble Theatre, Know Theatre, Future Leaders, OTRCH, and OTR Community Council. Her previous board affiliations include Women Writing for (a) Change Foundation. In the past, Annette has won awards from Writers Digest, Ohio Poetry Day, and the GWCL, while also acting as a speaker for Leukemia and Lymphoma Society events, cancer and support groups, women’s and church groups, and book clubs. Her work has been published on many online dementia-related sites, as well as Spillwords.com, MidlifeBoulevard.com, and HumorWriters.org. For more information on her work, appearances, essays and poetry can be found at www.annettejanuzziwick.com. Jaye Elizabeth Johnson (they/them) has been a member of the YWWf(a)C community since attending summer class at the age of ten. They are a graduate of the Young Feminist Leadership Academy class of 2013, and have grown from teen assistant to facilitator as the years go on. 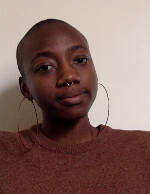 When not in Cincinnati, Jaye Elizabeth is pursuing both a BFA in Illustration and a BA in Literary Studies at the New School in New York City, and works with justice organizers, wellness practitioners, and genius young people on campus and off. 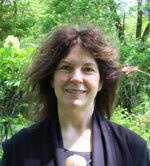 Laurie Lambert (she/ her) enrolled in her first WWf(a)C core class in the Summer of 2011. The experience was transformative, and prompted a search for more opportunities to increase her involvement in this wonderful organization. Laurie organized WWf(a)C’s first V-Day event in 2012, and continues to coordinate, host and promote the annual V-Day benefits. She graduated from WWf(a)C’s Conscious Feminine Leadership Academy in 2013. Laurie holds a B.A. from Williams College, and a PhD in Immunology from the University of Wisconsin-Madison. She worked as a research scientist at the Merrell Dow Research Institute (and its permutations) for ten years focusing on arthritis and asthma. When Laurie’s family grew from 2 to 5 in one step in 1994, she cut back to part-time scientist, and eventually left this career to become a full-time Mom to triplets Hannah, Claire and Owen. Laurie also worked for ten years as a substitute teacher in the Little Miami School District. Her family home is a 50 acre paradise outside of Morrow, Ohio, on Todd’s Fork of the Little Miami River. After several years as a Wednesday night writer, Laurie now enjoys facilitating the Co-Ed Core Class on Wednesday evenings. She continues to write essays and poetry, and recently published a chapbook of poems entitled What I Can Carry (Finishing Line Press). Liv Linn (she/her) has been taking classes, facilitating camps and the Young Feminist Leadership Academy, and making trouble at WWf(a)C since she was eight years old. Liv's passions have always been at the intersection of feminism and storytelling in many mediums, including podcasting, zines, and oral history, although poetry will always be her first love. She currently works as a Lewis Hine Documentary Fellow facilitating documentary projects with justice-involved youth in New York City. Katherine is a collage artist and writer. Katherine began writing with Women Writing in 1997 and is a 2009 graduate of the Feminist Leadership Academy. She earned a Bachelor of Arts in English from Thomas More College; a Masters in Expressive Arts Therapy from the University of Louisville and a Masters in Social Work from the University of Kentucky. Katherine is retired from Northern Kentucky University. She is an active member of the Buckeye Art Therapy Association and is a SoulCollage Facilitator. Her current fascination is making altered books. She likes living on the river, reading, knitting, camping and other adventures. When traveling, she always packs watercolors, scissors, glue stick, journal and pen, ready to respond to the images that need to be made. Sometimes finding one’s voice is a visual experience. 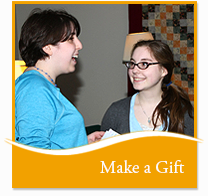 Sara holds a Master’s degree in art therapy and the credential of registered art therapist. 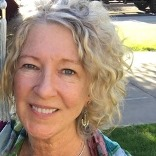 She is a trained SoulCollage® Facilitator, a facilitator of the Touch Drawing process, and a licensed JourneyCircles™ Facilitator. She is a graduate of both the 2013 Conscious Feminine Leadership Academy at WWf(a)C and the 2011 WWf(a)C Facilitator Training program. 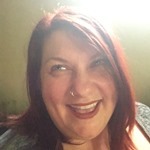 Sara’s work is enriched and informed by archetypal psychology, cross-cultural symbolism, and transformational journey work, and she is passionate about supporting women in connecting with the life-enhancing wisdom embedded in their own creative work. 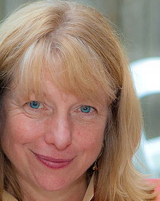 Her traditional offerings include Fall SoulCollage® Circle, Winter SoulCollage® Circle, Spring SoulCollage® Open Studios, and workshops related to life themes and special events. To learn more visit her website at: www.sarapranikoff.com. When she is not collaging images Sara enjoys cobbling together words into poems and life into art. She left her professional career in social services to embrace the role of motherhood during which time she also did design work and peer consulting. She lives in Wyoming, Ohio with her husband and college-bound son. A life in words. From childhood rhymes to ideas and feelings translated on paper; from block letters and manual typewriters to keyboards, writing has been an ebb and ﬂow in how to understand and live life for Lisa. Her Cincinnati writing roots run deep with elementary school poetry published in the Seven Hills Review, a public library creative publication, and more recently her poetry appeared in the local publication, For A Better World (2017, 2018). 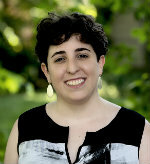 Prior to graduating with a BA in English from the University of Cincinnati, Lisa was winner of that university’s Elsie B. Westheimer Short Story Prize for her story, Changers and Billers. Decades later, attending a Women Writing for (a) Change sampler, Lisa found both a place to write and the encouragement that comes from being heard. Lisa is a graduate of the organization’s Conscious Feminine Leadership Academy (CFLA, 2017). For her CFLA practicum, Lisa facilitated writing circles focusing on aging and end of life transitions. After retiring from a corporate career, Lisa completed training as a Death Midwife and is a member of the Cincinnati End of Life Collaborative. Joining both the faculty and board at Women Writing is a coming home and giving back for Lisa, making it easy to follow her lifelong passion for words and service. Lisa Rocklin (she/her) found her way to a Women Writing Saturday Sampler in 2006. From that first circle, it was wonderfully obvious that her writing voice had found a home. She has participated primarily in weekend programming, the Summer Core Class, the Women’s Retreat, and is a 2015 graduate of the Conscious Feminine Leadership Academy. Lisa has a BA in English and an MA in Secondary Education from Northern Kentucky University, as well as a BA in International Affairs from the University of Cincinnati. Prior to joining the staff of Women Writing for (a) Change, Lisa spent 21 years as a high school English teacher. She credits her sixth grade teacher, Mrs. Patsy Cash Cole, with recognizing and encouraging her poetic tendencies. Helping girls cultivate their authentic selves through writing is a passion she pursues as a facilitator of teens' and young women’s classes. Lisa’s current obsessions include: owls, SoulCollage® card making, anything to do with Scotland, finding antique ink wells, and family genealogy research. She lives in Mt. Healthy with her husband Tony and dogs Daisy and Hazel. Sally (she/her) is a passionate teacher of the practices of Women Writing for (a) Change, a role she has relished since 2006. 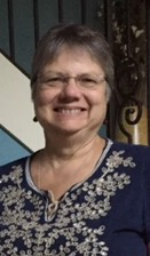 She has the privilege of facilitating the “Marvelous Monday Nighters” and the “Terrific Tuesday Writers,” and has led sampler and outreach classes for the Campbell County Library, Wise Temple Sisterhood, and The Women’s Connection. Sally discovered the magic of Women Writing for (a) Change in 2002, and has been a proud member of the community ever since. Her transformative journey, which began as a Saturday Sampler participant, led her through seven semester classes to the Feminist Leadership Academy, from which she graduated in 2006. She continues to hone her leadership skills by participating in WWf(a)C sponsored workshops and retreats, and by exchanging ideas with other “sister” facilitators around the country. Sally credits, with gratitude, her teachers and mentors in the Women Writing for (a) Change community (Kathy Wade, Mary Pierce Brosmer, and Mary Ann Jansen), for her growth as a woman, a writer, and a conscious leader. Sally continues to draw on their wisdom as she facilitates her own circles, and finds great joy in spreading the magic of Women Writing for (a) Change to others. 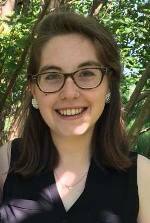 Meg Stentz (she/ her)is a long-time teacher in the Young Women's program, and co-facilitator for the Young Feminist Leadership Academy program. Feminism, young people, and activism are her favorite things (also coffee, yoga, and spinach). She looks forward to taking a break from her career of adulting in the education field and commuting from New York City to spend time at Women Writing once again. Pam is a singer and a songwriter. She was born and raised in Cincinnati, where she got started performing music and sang with May Festival Chorus. She attended The Ohio State University, where she sang with the Columbus Symphony Chorus and graduated with a BS in Occupational Therapy and minor in music performance. To avoid getting a “straight” job, she joined the Peace Corps (Costa Rica '92-'94), where she sang with the Costa Rican National Symphony Chorus. Upon her return to the States, she formed a band with her husband and started performing her songs with the now award-winning American Roots group, Wild Carrot. When not making music, she can be heard as an on-air host on both Classical 90.9FM WGUC and NPR affiliate radio station, 91.7FM WVXU. 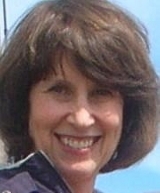 Diane Debevec encouraged her to bring her song writing to Women Writing for (a) Change®. She has been a Tuesday morning writer at WWf(a)C since 2013 and is a graduate of CFLA in the 2015 Elementals cohort. Her passion is to help women find or rediscover their singing voices. She lives in Oakley where she loves (in no particular order) playing music with others, reading, her guitar, her husband, and her four rescued animals, two dogs and two cats. Christine (she/her) is a local artist, writer, spiritual leader, and mentor living in Northside, which suits her just fine. She won the English Department award in poetry at University of Cincinnati where she attended, and has had solo shows at Rohs St. Café and Red Tree Art Gallery where her art occasionally pops up. She spent multiple years in ministry at a local church where she headed up arts, teens, spiritual growth, and was the sole writer for a 25,000 readership devotional. She also has a passion for diversity and justice and does ongoing work with trafficking victims in India. Christine had heard rumors of the Women Writing for (a) Change community and embraced it wholeheartedly in 2014, which led to participating in the Conscious Feminine Leadership Academy in 2017. Women Writing has helped her find her fuller voice and live more consciously and slowly which is a fete since she is married with 5 young adult kids, a dog, and a bunny. 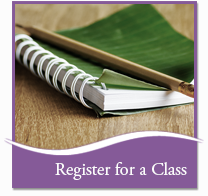 She has taught and facilitated multiple classes from writing to spirituality around the world and locally, and is honored to be a part of the Women Writing Community.